Gmail is one of the awesome mail client and most of us are using it regularly. But many people today have two or more Gmail Accounts in order to separate and organize their online communications. So its a difficult task to them Login each account every time and check out there mails. But with the new Multiple Gmail accounts feature you can easily access your Multiple gmail account on the same browser window. 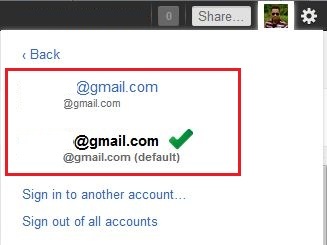 With this new feature If you’ve registered more than one Gmail username, you can use the multiple sign-in feature to use two accounts at once. So no need to login in again and again for each account, read the email in that inbox, sign out, and then repeat the process for each additional account. Step 1. 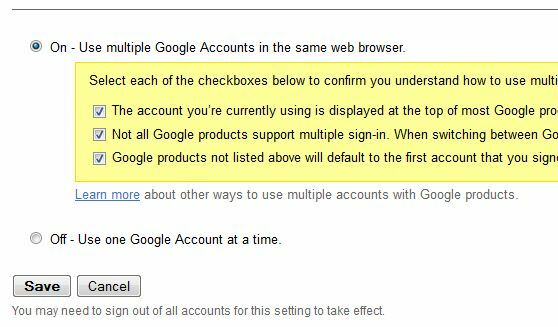 Login with your Gmail User name and go to the Google Multiple Gmail Accounts sign-in setup page. Step 2. Select On to enable the multiple sign-in feature and also select al the checkboxes below to confirm that you understand how to use this new feature. Step 4. 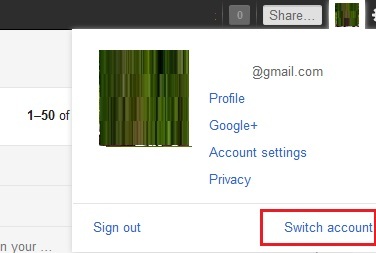 Now it time to use the Multiple Gmail Accounts Feature, Now go to your Gmail Page and click your name in the top-right corner and Select the Switch account option from the menu that appears. Step 5. Now Click the Option Sign in to another account. This action will open a new login page. Step 6. 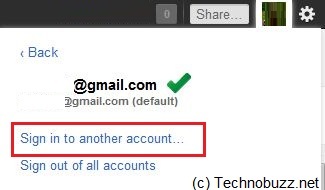 Now Sign with your Another Gmail Login Name and sign in, Just repeat these three steps for each Gmail account you would like to add. Step 7. After the Sign in Click your name in the top-right and select Switch accounts and here you can all your Gmail Accounts. Now Select the account that you want to check and Gmail will automatically switch to that account and display your inbox. Thats it, now you can login all your Gmail accounts on same windows.